Evernote is a commitment, and requires religious use to get the full benefits. That means taking your entire paper-based filing system and converting it to digital — a time-consuming task. The benefit is measurable, however. Notes can be saved and synced across devices and can include text, photos, voice memos, and uploaded or scanned documents. You can file notes into notebooks, and further categorize them into tags. Sharing is easy, and while the interface isn’t the easiest to learn, it is quite powerful. You’ll need to set up an account to get started with Evernote. We recommend completing this process on the Web before downloading the desktop or mobile app. This way, you can get started using Evernote right away — and in some cases the apps work better as you don’t necessarily need to be online to access data. Start by heading to the Evernote registration page. You can choose to use either your Google login credentials or an e-mail and password to sign in. Click Create Account and you’re done. Evernote doesn’t require that you activate your account, so it’s already ready to use. Free accounts allows you up to 60MB of uploads, and syncing across two devices (Web access is included). Upgrading to Plus increases this to 1GB and costs $35 for the year, while Premium costs $70 per year and gives you 10GB of uploads. With both Plus and Premium, there is no limit to the amount of devices you can sync to. Each Evernote tier gives you more flexibility on what functionality is offered. The free account allows you to clip web pages and images, search for text inside images (a feature we’ve found extraordinarily useful), share and discuss notes, and add a passcode to your mobile apps. But we suspect many may want a bit more. The chart below shows the difference between Plus and Premium in terms of features. We’ve colored the Basic tier features in blue so you can see the difference. To prevent any hiccups, if you are planning to use Evernote across more than one device, upgrade your plan before you start to download the app to your desktops, laptops, and mobile devices. Use the links below to install Evernote on the device of your choice. Look for the ‘+’ button on the left-side menu and click it. A new screen appears asking you to give the new note a title. Give it a title, and then click on the body field below and start typing your note. When you’re done, click Done in the upper right hand corner which takes you back to the dashboard. You’ll see a similar edit screen to the one we showed. So what if you want to add more than just text? If you’re using the web or desktop based versions, you can drag and drop files into notes, including photos and attachments. The various options are found in the toolbar. For the mobile apps, within the note taking screen, look for a ‘+’. Tap that, and you’ll get a host of options of what you can add to a particular note. Here’s an example of what you’ll find in that menu on iOS — Android users will see similar options. We’d recommend you also install the Evernote Web Clipper. 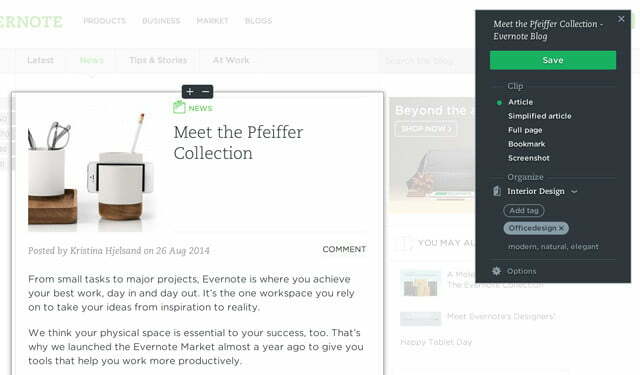 The extension is available for every major browser, and it allows Evernote users to save Web snapshots or entire articles while retaining all text, links and images originally embedded in the page. Once installed, click the Evernote note button located in the top of your browser’s tool bar and log in using your given credentials. Click the Evernote button again, select the type of clip you’d like, what notebook you’d like it in, and add any tags. 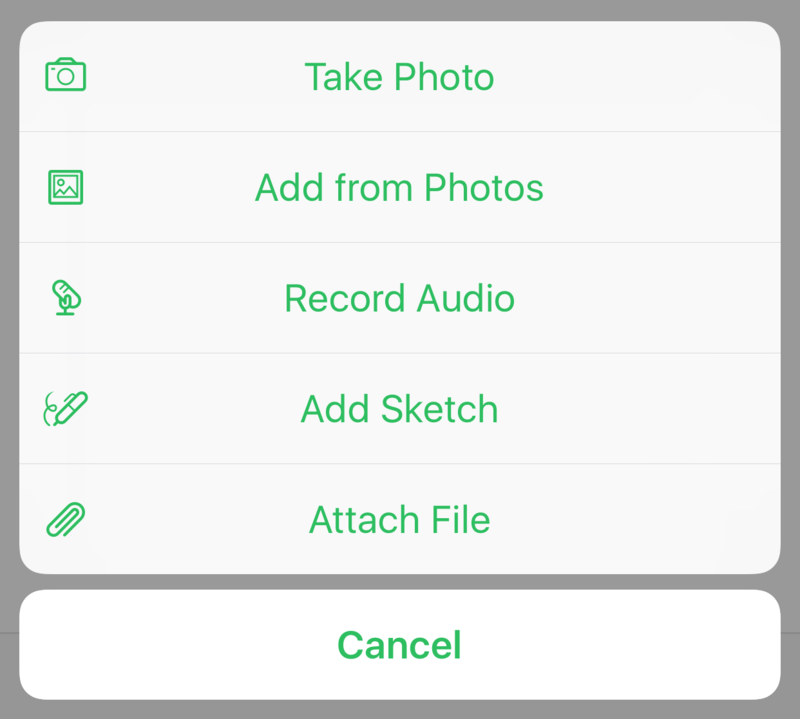 When finished making your selection, click the light-green Save button to add the Web clip to Evernote.